Influenza is also known as Flu and is sometimes mistaken from common colds because they affect the respiratory system and presenting symptoms are quite similar. Getting infected with the flu virus is far different from experiencing bouts of common colds throughout one’s lifetime. Having colds is basically a normal phenomenon experienced by most of us. This is an indication of a healthy immune system of a person. The human’s innate immune response is initially activated in the presence of the virus in the body. It aims to contain the virus and keep it from spreading. It is followed by the adaptive immune response to clear away the virus that causes the infection. Usually, this condition can be managed by home remedies like water therapy and over-the-counter medication (which is not advisable thing to do). Observing a good practice of healthy habits plays an important role in the person’s recovery. Influenza virus causes flu. It is an infectious respiratory disease that can be transmitted through airborne and droplets due to unethical coughing and sneezing from an infected individual or inhaling air infected with the virus. Common signs of influenza (flu) include runny nose, cough, sore throat, headache, muscle pain, vomiting and diarrhea (common among children) and fever (usually high grade). Most of the influenza viruses are quite aggressive and it can be deadly. It can lead to serious life-threatening complications when a person’s immune system is sabotaged. People who are immunocompromised and with chronic ailments such as lung diseases, Cancer and HIV infection are at greatest risk for flu infection. Flu virus invasion usually starts on the upper respiratory tract and can penetrate deeper into the lungs. Bronchitis and pneumonia are among serious complication from flu infection that may require hospitalization. In addition to this, there are some studies proved that antiviral medication had potency in combating flu virus in the first 24 to 48 hours of clinical symptom appearance. For protection, flu vaccine (flu shot) is widely recommended to lessen disease-related casualties (morbidity and fatality) from specific strains of flu virus. It is administered through injection or via a nasal spray. However, the vaccine does not give a person lifetime immunity against influenza virus. It is given annually to keep away from the flu virus. Influenza virus type A is further subdivided into subtypes pertaining to its variations. The variations of the virus are called the serotypes, while Influenza B and C have only one serotype. Serotypes are classified depending on the specific antibody-antigen reactions of the virus. The basis is the presence of proteins on the surface of the virus. HA-haemagglutinin and NA- neuraminidase) are glycoproteins, which composed the external structure of a virus. The number followed by the letter H and N represents the number of protein contents in each virus’ subtypes. Aquatic birds are the favorite reservoir of most Influenza A virus known to cause Avian Influenza which can either be low or highly pathogenic based on the viral activity and its ability to cause diseases. Influenza A virus subtypes posses a very unique characteristic with various genetic and antigenic differences. It means that some influenza virus can only infect birds and animals (eg. H7N7 in horse, H7N10 in bats and H3N8 in horse and dogs), some can infect humans, such as H1N1 and H3N2 which are the common cause of influenza that is currently in general circulation among humans and some can infect both. Mutation of influenza A viruses that are highly pathogenic imposes a constant threat of pandemic outbreaks. Influenza type B virus only infects humans (and seals). The virus is known to evolve slower is less common than Influenza A. There are no identified cases of pandemics caused by an influenza B virus. Influenza type C virus, unlike influenza A, doesn’t have animal reservoir. This type of virus rarely affects people and there are no known cases of either epidemic or pandemic outbreaks. Jade Sison. "The Difference between Flu and Influenza." DifferenceBetween.net. 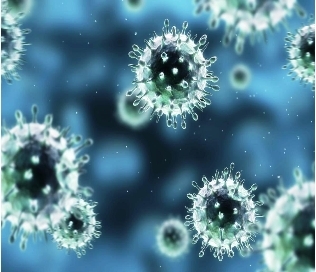 July 9, 2015 < http://www.differencebetween.net/science/health/the-difference-between-flu-and-influenza/ >. At 51 years of age, I’ve never had type a influenza, that is until 7 days ago. It started with a small tickling effect on my right lung. Next day along came a sniffly nose. Day 3 lung gets worse, spreading of irritation, coughing starts worsening and phlegm develops. I’m bedridden, energy loss, sore aching hands, knees and feet. Hot flushes come and go. Day 4 add a headache to all my symptoms. I drag my self to see a doctor and recieve medicine. I finally vomit, cannot hold down food. Day 5,6 and 7 I have been taking a viral capsule (tibulan 75ml – I think) twice a day. Also 2 panadols and a neurofan for pain. Things seem to get better. It may be a few more days until I breath normally again.